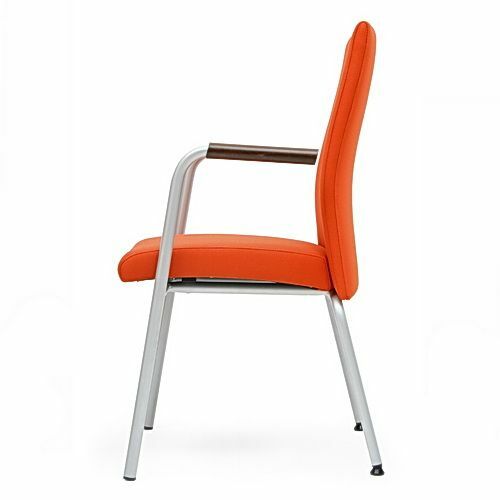 Conference chair suitable mainly into offices or commercial places. Tube base lightly moves itnto the wooden armrest made of solid beech. You can choose of a wide range of powder painting or a variant in chrome. You can choose from a wide range of upholstery materials of different price levels. Seat and back can be upholstered into different shades on customers request and also into many different types of fabrics – possibly different shades of yarn – this can enrich the double sewing on the sides of the seat and back. This chair is suitable into conference rooms and offices.